EMLViewer Pro is a Windows software tool for managing and converting .eml files. One of its core capabilities is converting from .eml to .pdf format. 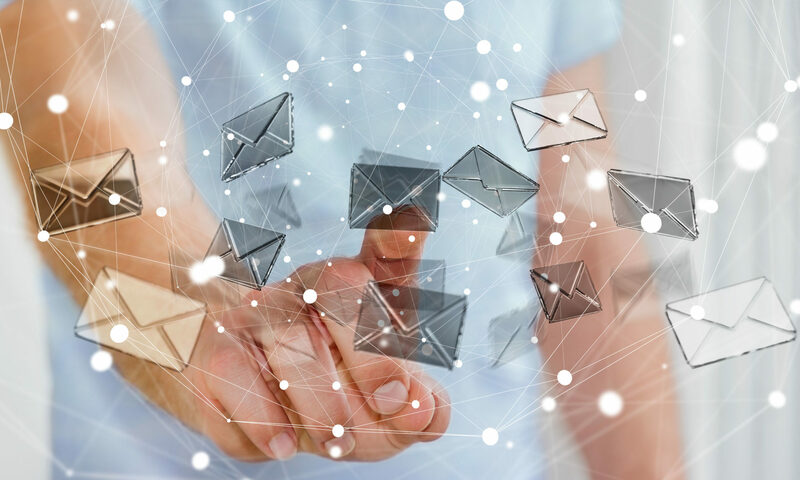 Some of our earlier articles have focused on this capability in detail, and today we’re going to focus specifically on creating a single pdf file that contains multiple .eml email files. When converting many .eml’s into one .pdf, you’ll need remember that the resulting PDF can get quite large. Be sure that you have plenty of space available on your hard drive. The first step in our process is to start EmlViewer Pro, or it’s twin, PstViewer Pro. Since the two software packages have merged, they now contain identical capabilities to manage .eml. You can download a free trial of EmlViewer Pro here and follow along. From the folder navigation on the left side of the EmlViewer Pro interface, clck on the folder containing your .eml files. EmlViewer Pro will then load the emails into a list, where you can sort or search for the messages you want to convert to pdf. 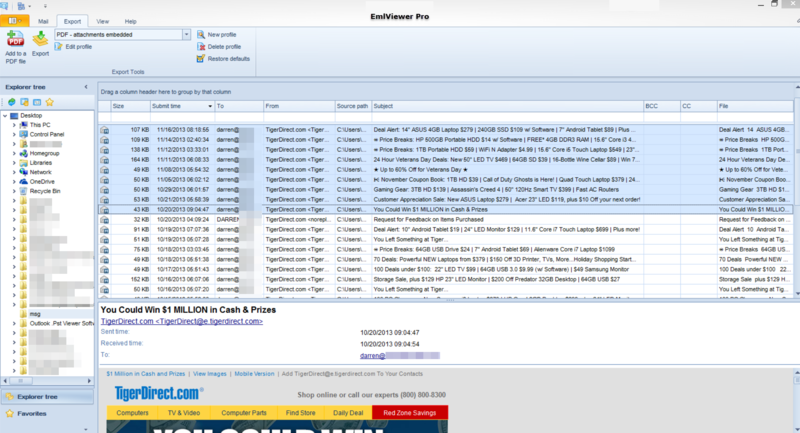 Now tell EmlViewer Pro which emails you want to move into a single PDF file. You can select individual emails from the list. To select them all, click on the first one in your list and then do a CTRL-A on your keyboard to select all of the messages. When a message is selected, it will have a blue highlight. EmlViewer Pro .eml file viewer with messages selected. Single PDF – attachments embedded. This option includes email file attachments as separate files within the .pdf. They can extracted later from the PDF using PDF viewing software. 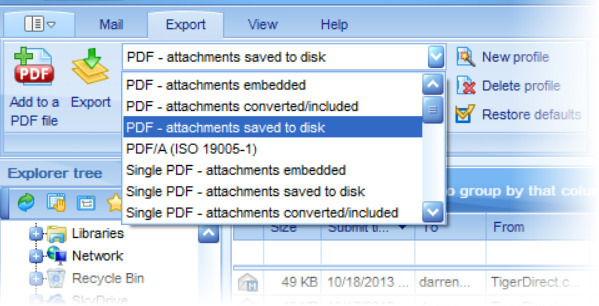 Single PDF – attachments saved to disk. Converts .eml files into a single PDF, but attachments are saved to your hard drive, outside of the PDF. 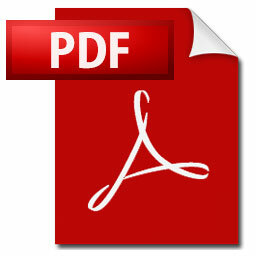 Single PDF – attachments converted/included. EmlViewer Pro attempts to convert the attachments into images that are displayed within the PDF file. It can convert many of the most common and popular image and document files. If it is unable to convert a file, then it defaults to embed the file within the PDF. By now, you have selected your emails and chosen the best export profile for your project. All that’s left to do is click the “Export” button and start the conversion operation. EmlViewer Pro may prompt you to choose a file name for the .PDF file. The amount of time it takes to convert the .eml files to .pdf will vary by the number of emails you need to convert, the size of the emails, file attachment sizes and types, and whether the .eml files have embedded graphics. If the image files are hosted on a server, EmlViewer Pro will attempt to download them and render the email. All of these factors will impact how quickly the operation will complete. The converted eml emails will appear in the .pdf with the traditional header information at the top of each email, which includes From, Sent Date, To, Subject, and any file attachments. We hope this short tutorial and EmlViewer Pro will help you accomplish your goal today. Thanks for reading. Click here for more information on EmlViewer Pro, including purchase and a free trial download.